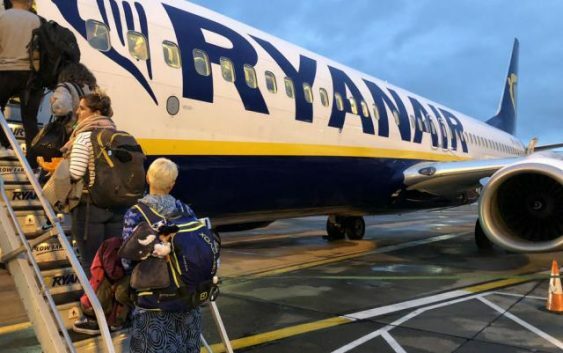 Ryanair had planned to reduce its frequent daily links from Belfast International and Edinburgh to London Stansted from the end of the summer schedules in October. Between the Scottish and English capitals, the service averaging four flights a day is being cut to just four a week – with none on Mondays, Tuesdays and Wednesdays. These are two of the relatively few routes on which Ryanair competes airport-to-airport with easyJet, which generally means it is not as profitable as others. But it is thought that the planned cull was brought forward as a result of the worldwide grounding of the Boeing 737 Max after the Ethiopian Airlines tragedy in May. Ryanair has ordered 135 of a special variant of the new jet, known as the Max 200, which includes an extra eight seats. Forty jets are due to arrive over the coming year, with the first originally expected to arrive at Stansted, Ryanair’s main base, in April ahead of starting flights on 14 May. But there is no indication of when aviation authorities will allow the 737 Max to fly. Ryanair is faced with several choices: keeping older aircraft in its fleet for longer than expected, chartering in extra capacity or thinning out its schedules – and it looks as though the aforementioned domestic services have been chosen for cancellation. The freed-up planes can then be used on higher-yield services. Thousands of passengers are already booked on the now-cancelled flights from Belfast and Edinburgh to Stansted. Ryanair is offering a transfer to one of the surviving services, or a full refund. The Independent has asked Ryanair for comment. The working week began with at least 10 flights cancelled: Belfast City to London City and Manchester, and the return legs; two round trips between Edinburgh and Manchester; and the first rotation of the day between the Scottish capital and London City.